So, twelve of us gathered at the Bothy with our bottles. None of us are professional tasters but amongst our number were members of champagne families, wine historians, sommeliers, wine stewards, winemakers, restaurateurs and enthusiastic drinkers. 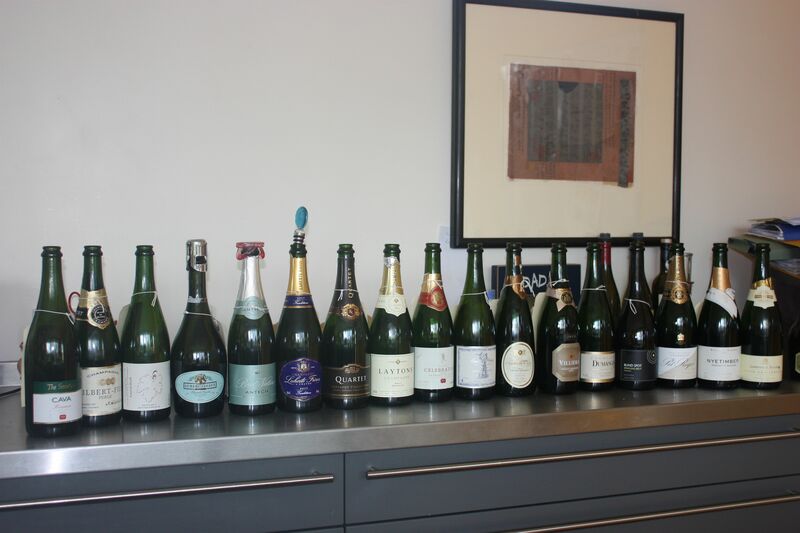 In fact we had seventeen wines to taste; seven champagnes and ten other sparklers. All wines were tasted blind, every wine was scored out of 20 and discussed and marked as champagne / not champagne on our scoresheet before, first, the grand reveal, and second a bowl of scrummy pasta dressed with truffles. Nobody picked all the champagnes. 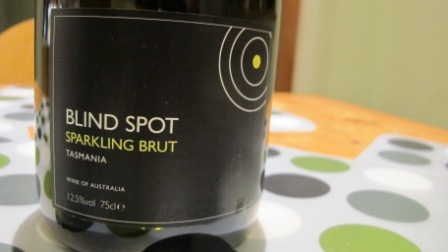 The Nyetimber Blanc de Blancs 2007 fooled most of us, whilst the Wine Society’s Blind Spot from Tasmania (the own label result of their determination to prevent the most interesting Australian grapes being swallowed by big conglomerates) also did damage to those hoping for a perfect score. It was the Blind Spot – just – which scooped the evening’s prize – half a point ahead of the runner-up. And, for British readers, it’s £13.95 rather than the £30 plus for the premium champagnes (and Nyetimber). Runner up was a champagne from the tiny Lilbert-Fils in Cramant. Their Blanc de Blancs (£48 from the Wine Society) is an old vine wine from Grand Cru sites that’s still entirely hand-riddled. My notes stress its finesse, its delicate nose of orange blossom and tea and its subtle flavour. A classic champagne, highly rated and enjoying ‘best-kept secret’ status for some critics. See www.champagne-lilbert.com to learn more. Fabrice Roualet’s Brut Grand Reserve (courtesy of a family member) was another wine that did well. 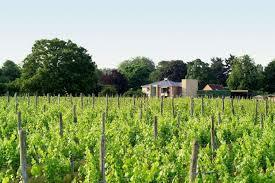 It comes from Premier Cru vineyards in the Marne valley between Champillon and Dizy. See www.champagne-roualet.fr. A personal favourite of mine – aside from the Lilbert and the Blind Spot – was the Laherté Frères Brut Tradition (now known as Ultratradition).Based just south of Epernay, this is another family firm with a strong environmental tradition (including some biodynamic wines). See www.champagne-laherte.com. Berry Bros compare this wine (£26 per bottle) to Mohammed Ali in his prime: ‘all vinous weight, yet light on its feet’. A good description: my notes stressed the richness of the fruit (greengage and lemon first but moving to mango) and the length of the finish. The more time in the glass the better it tasted. See www.bbr.com/products-19859. What was also apparent was the richness of France’s sparkling wine tradition. It’s worth checking out St Péray Mousseux (from Yapp’s, www.yapp.co.uk) or the Antech Blanquette de Limoux (another from the Wine Society, www.thewinesociety.com) – both unusual and interesting wines which scored well overall. This entry was posted in What I've been drinking and tagged Bothy. Bookmark the permalink.